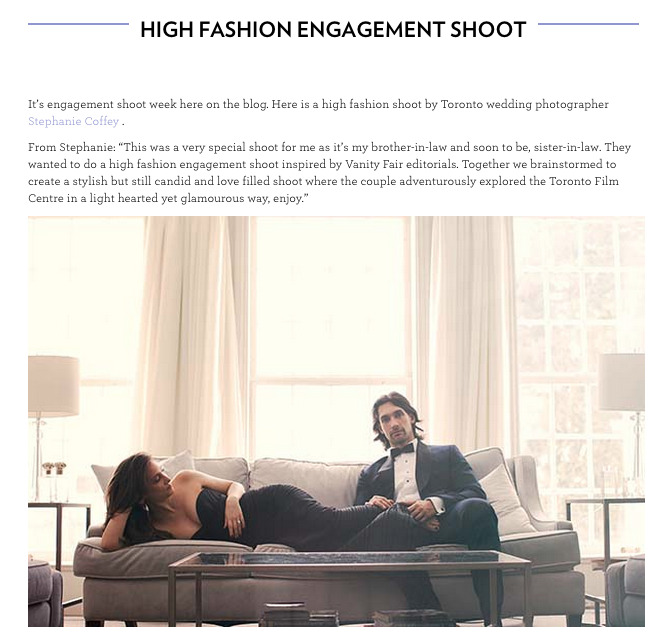 Deanna & Adam's Engagement Shoot was recently featured on The Wedding Co. It was such a lovely shoot that I am really proud of. We had an amazing location in the Canadian Film Centre. We also played around with fashion elements and created a Vanity Fair inspired high fashion engagement shoot. Please have a look!